We respect your right to privacy and take your privacy seriously. The following outlines how your information is gathered and processed and your rights. Our policy may be updated or amended periodically as various services or vendors are added or eliminated from our blog site. There are third party providers we work with such as social media channels (e.g., Facebook, Pinterest, Instagram, Twitter) as well as email (MailChimp) and analytics (Google Analytics) providers. All of these companies have their own policies and you are responsible to read and to agree to such policies. “Cookies” (snippets of code) are used to enhance your experience with Luxe du Jour and to ensure that the features are functioning properly. In addition, cookies help us to ensure that relevant ads are served via third parties and that no fraudulent activities occur on our site. Please keep in mind that should you choose to delete your information fromthird parties, if you do not turn off your cookies and your third-party permissions, we could collect your information again, if you use any of our services. In addition, ads, not specifically targeted to you, may be served. If a user decides to opt-in to our mailing list, they will receive emails regarding recent postings, related products or various other forms of information. If at any time user would like to unsubscribe or opt-out from receiving emails, there are unsubscribe details on the bottom of each email. We protect your information through the use of appropriate data collection and storage measures to protect against unauthorized access. If you choose to share information with other people on our site (such as a public post, forum, etc. ), you are doing so willingly. We cannot be held responsible or liable for what others may do with your information. We will not sell, trade or rent your personal information to others. We may share generic demographic information not linked to your personal information. Your information may be shared when required by law or to respond to a legal inquiry/process, or as necessary to for security purposes to prevent/stop a malicious attack on computer systems/networks. In the event of a merger or sale of assets, we may disclose your personal data. Third party websites that are featured on our site have their own terms and policies related to protection of your personal data. Our site is not intended for anyone under the age of 13. If you are under the age of 13, you must obtain consent from your legal guardian. We attempt to always provide information in an accurate way. However, there could be an instance where inaccuracies may occur. Any such errors are unintentional and we reserve the right to make any necessary corrections or amendments. Our site allows you to post comments and we will monitor the content on an ongoing basis. Luxe du Jour forbids the use of profanity, harassment, bullying, etc. There is to be no posting in association with Luxe du Jour that violates the law. 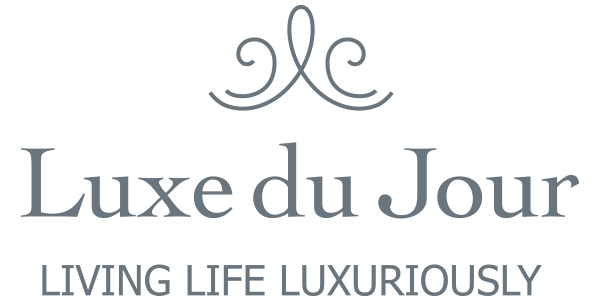 If you provide Luxe du Jour with input for the site and it is featured, this becomes the property of Luxe du Jour and there will be no compensation for such material. By visiting the site, you agree to indemnify, defend and hold harmless Luxe du Jour and it officers, directors, agents, Licensors and suppliers from and against losses, expenses, damages, costs, including reasonable attorneys fees, resulting from violation of these terms. If these terms are violated, you agree to the exclusive jurisdiction of the state and federal courts located in Broward County, Florida,in connection with any such matter or dispute. By using our site, you are indicating your acceptance of this policy.